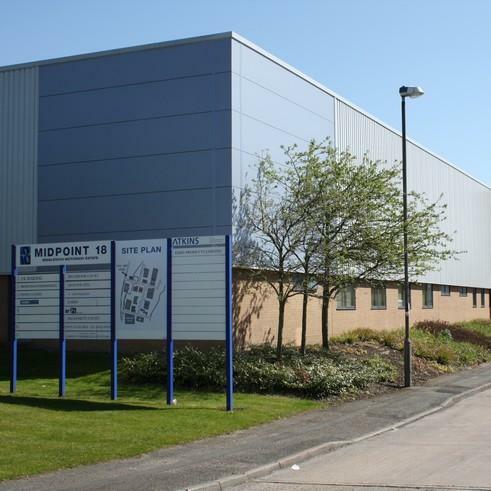 This project was part of a series of refurbishment schemes carried out for the same client, Pochin Developments, the owners of Midpoint 18 Business Park. Unlike its neighbour Unit 1, this unit was vacant and the works included extensive internal remodelling to provide more flexible accommodation thus maximising the opportunities of attracting a new occupier. The building benefited from a total reclad to the whole external envelope to provide fresh, bold, kerb appeal, as this unit not only formed the gateway to this part of the Business Park, but also fronted the main route from the M6 motorway into the centre of Middlewich.